Seeney says he has to be convinced there is a 'reasonable or average chance of getting a reasonable outcome'. An 'AVERAGE CHANCE OF GETTING A REASONABLE OUTCOME'! You have got to be joking, a proposal so potentially destructive of the environment, people's lifestyles and livelihoods; huge financial costs and risks due to flooding, collapse of Seaway walls, collapse of local businesses; import of foreign workers, materials and equipment by 2 companies currently debarred by the World bank for 'bribery, fraud and corruption' in the Philippines; 'theft' of public parks and waterways for private/commercial use; sale of Australian Resident visas (Significant Investor Visas) to foreign real-estate buyers on Wavebreak Island and the Spit; a second casino run by a dubious gaming company currently in 2 court disputes etc etc and there only has to be an 'AVERAGE CHANCE OF GETTING A REASONABLE OUTCOME'. This has all the appearance of government by wishful thinking and campaign donations rather than government by transparent and proper planning processes, proper probity, due diligence or adherence to legal procedures. Did I mention the lack of moral and ethical behaviour by elected officials at State and Local Government levels in relation to ASF Consortium's proposal? 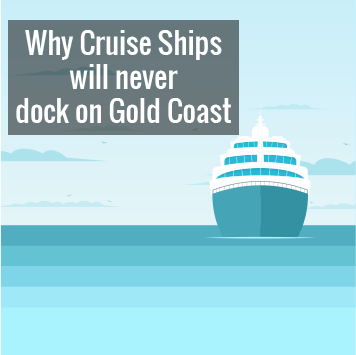 Did I mention the ASF China Group peddling of misinformation, unsubstantiated data, unproven technical statements, false figures (75 cruise visits per year to the GC!) and not one detailed technical report for expert or public scrutiny. Australian-Sino Finances (ASF) China Property Group, the penny-share company listed on the ASX has once again falsely claimed they are the 'preferred proponent' for the Broadwater Integrated Resort Development? 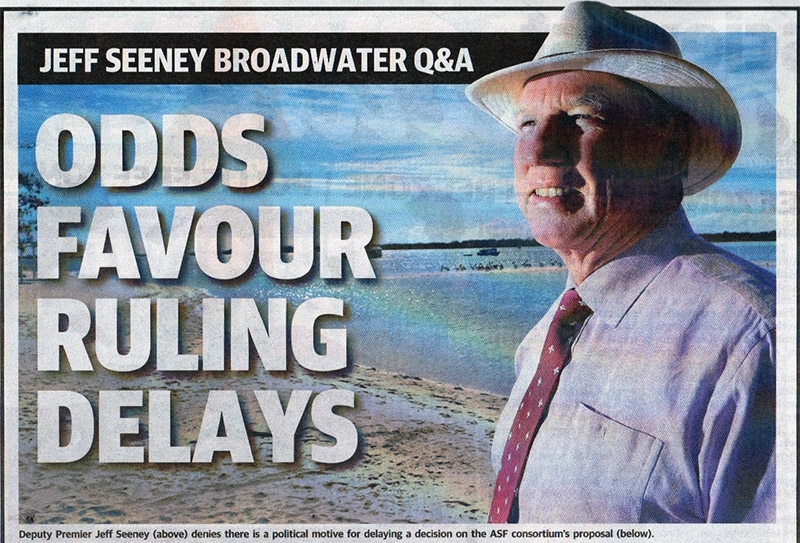 Yes, that's right, Tim Poole, ASF China local project manager (even though he resides in Sydney) declared in writing in ASF's latest 'Newsletter' that ASF were chosen as 'Preferred Proponent' by the State Government in February 2014 when in fact they were only ever 'possible proponent' for the Broadwater Marine Project (BMP), a project which is now dead, buried, abandoned, defunct as of May 2014! Do any other Cabinet Ministers or the Premier have a say in this whole farce or is it government by 'RULE of ONE - DP SEENEY' - the next 'leader' of the QLD LNP? A vote for the Qld LNP at the next state election is a vote for a government that is treating the Gold Coast Community with cruel and cynical contempt.